The owner of the Mercedes ML320 wanted to remove the brush guard. The brush guard is heavy and this car has never been off-road anyway. It might look "cool", but it is just dead weight that kills her gas mileage. 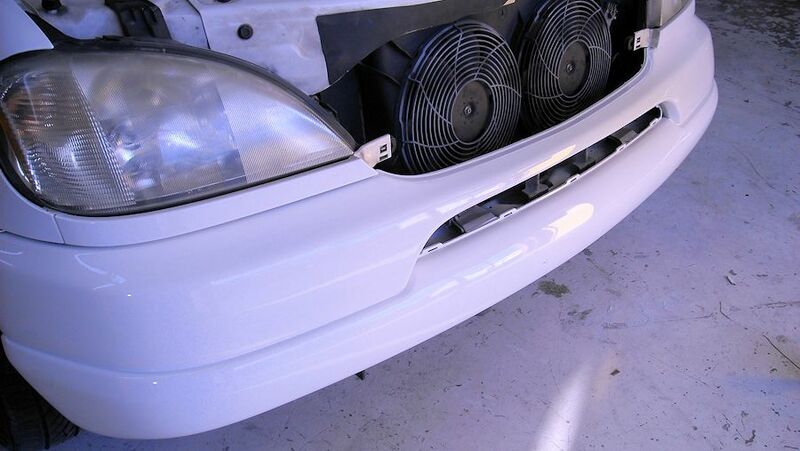 The problem with the brush guard is that it rubbed some holes in the bumper cover. 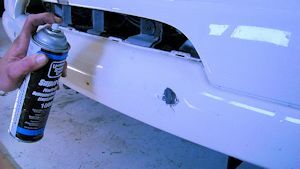 The holes will need to be filled and the bumper cover repainted for the car to look good. 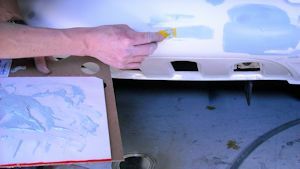 Here are the step-by-step procedures to repair and refinish the bumper cover. 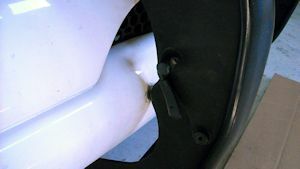 Remove the brush guard so that you can have unfettered access to the bumper cover. 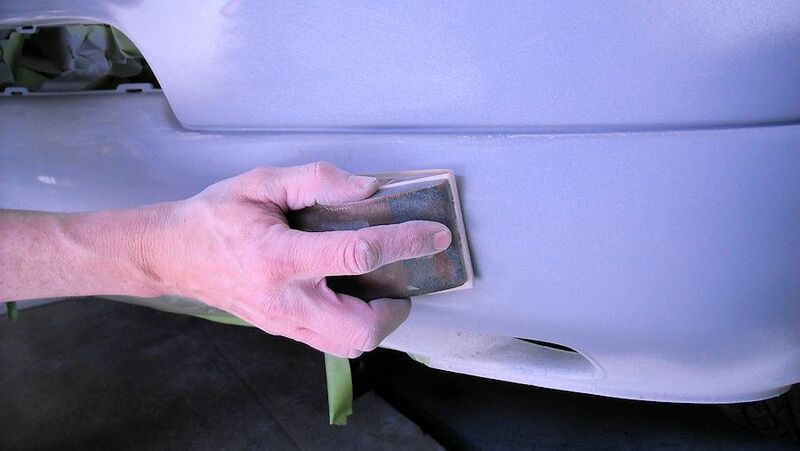 Use 180 grit sand paper on a DA sander to sand the bumper cover. 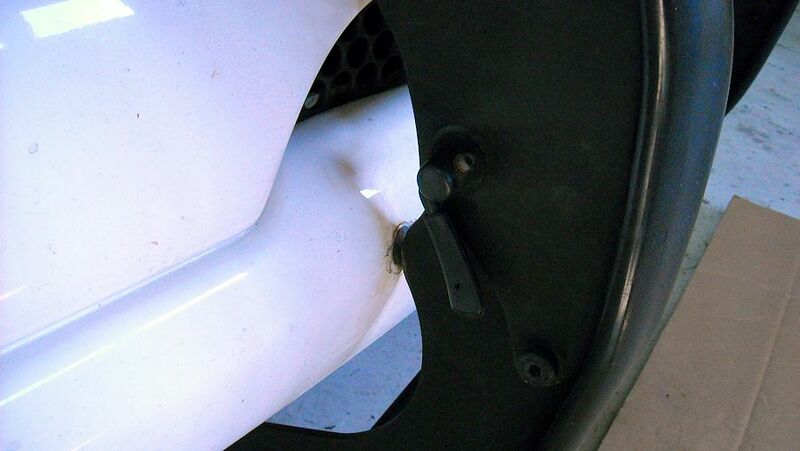 Try to radius into the damage to remove any sharp edges. 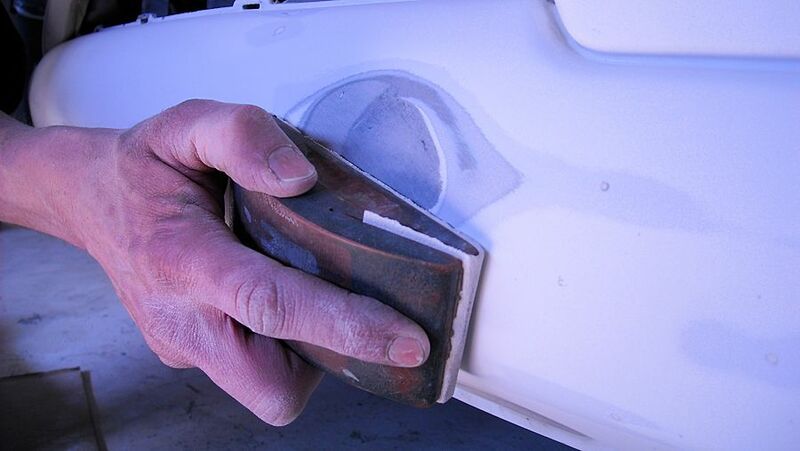 Go ahead and sand the entire bumper cover since you will be filling in rock chips, too. Use the airless plastic welder to fill in the holes with FiberFlex. Sand down the FiberFlex until it is flush with the surrounding plastic. 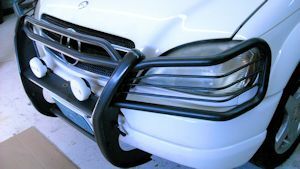 Since this bumper cover is made of TPO, you will need to apply Plastic Magic adhesion promoter to any area where the bare plastic is exposed. 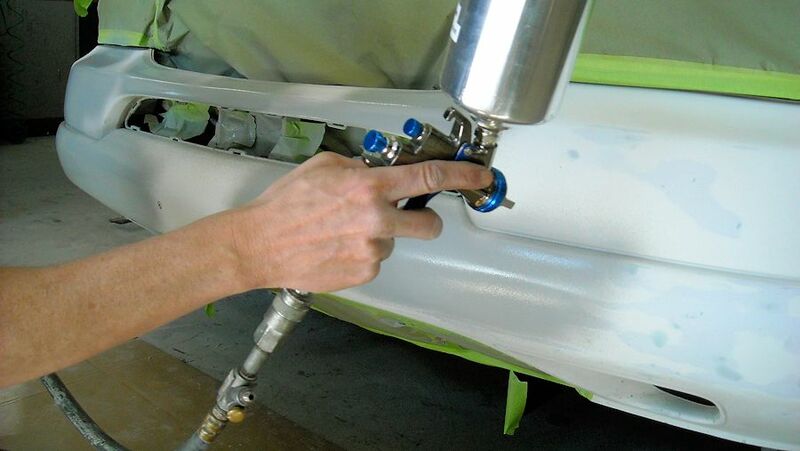 Plastic Magic adhesion promoter is a surface modifier and works like magic to eliminate the paint and filler peeling problems on automotive plastics. Mix Putty Flex with the cream hardener and apply it to the low spots and rock chips. Allow time for the Putty Flex to cure before sanding. Block sand the Putty Flex starting with 180 grit sandpaper and then switch to 320 grit sandpaper until the entire bumper cover is smooth. Mask off areas where you don't want any overspray. 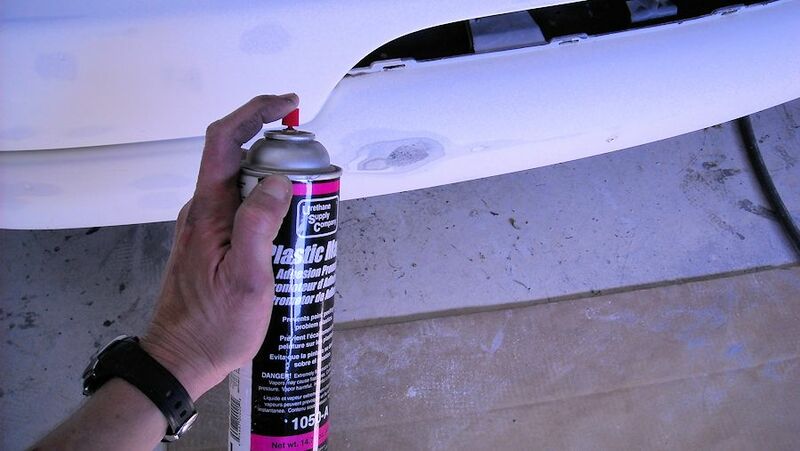 Apply All-Seasons E-Z Sand light gray flexible primer surfacer to the bumper cover. 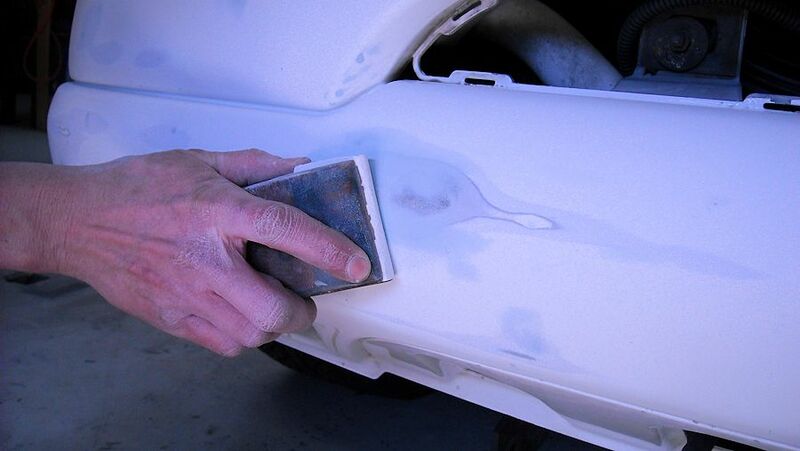 All-Seasons E-Z SAND is a light gray, freeze-tolerant primer surfacer for plastic bumper refinishing. 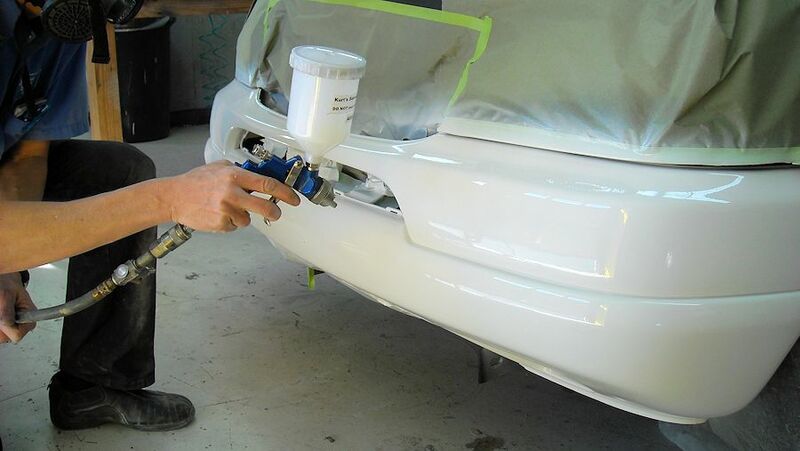 The high-build formula hides 180 grit sanding scratches and is compatible with all automotive topcoat systems. Block sand the primer beginning with 320 grit sandpaper and work up to 400 grit sandpaper. This will get it really smooth and ready for the top coat. Apply the topcoat according to the manufacturer's instructions. Remove the masking tape, and you are done.